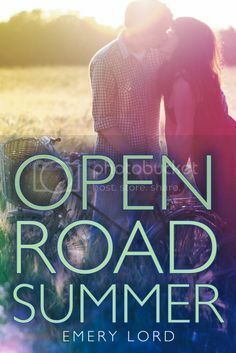 The first thing that attracted me to Open Road Summer was the gorgeously designed cover. Then I read the synopsis for the book, and I just knew that it was going to be a must read for me. After reading so many great reviews for the book, I couldn’t wait to get started on it. Let me tell you this, the book definitely does not disappoint! The story revolves around Reagan, who sets out with her best friend on a summer music tour, in attempt to give up her rebellious ways and become a better person. Reagan has definitely not had the best childhood/young adulthood, and as a result she has been in some situations that she’s not exactly proud of. She jumps on the opportunity to go on the summer tour with Dee, what better way to leave the past behind and start over fresh. Reagan was a really great character. She was snarky and hilarious, and she did not let what happened in her past define her, and I found that to be very admirable. I found her to be a great young lady. Reagan and Dee have been friends for FOREVER, and what a wonderful friendship they have. They have always been there for each other, through thick and thin, and nothing was going to change that. Even though Dee was a country music superstar, she was still really down to earth and just such a sweet person. I found her to be an extremely likeable character. Their friendship is the type that every girl dreams of. Matt Finch is the love interest of Reagan’s in the story, and is also a singer on tour with Dee. I love that Matt makes Reagan want to be better; he brings out the best in her. Though their relationship did not get off to the best start, his charm finally wore her down and she saw the good in him as well. They were so insanely sweet together. The storyline for the book was very cute, and makes for a really great summer read. The writing style flows gracefully, which also makes this a very quick read. I flew through the pages a lot faster than I expected to. Overall, I really, really enjoyed reading this book! It definitely makes for not only a great summer read, but a great anytime read! I’m really looking forward to reading more by this author in the future. I'm already lusting for summer so a book like this...yes. Now, please. Plus, I like that there's a strong female friendship in it. We need more of those.